This is the story of how significant changes to technology and processes saved the day in the modernisation of New Zealand’s 111 service. Faced with failing obsolete systems, the service needed help, with everything from keyboard-based processes that limited operators’ capacity to handle calls and large-scale emergencies to streamlining handover procedures and call recording. Neil McDougall discusses the lessons learned from Hurricane Katrina, and how radical changes to processes were introduced despite the initial scope calling for a ‘like for like’ replacement of the antiquated system, and how operational staff were involved throughout the project to become the strongest voices for change. 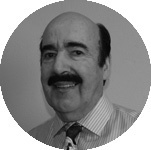 Neil McDougall is an experienced principal consultant and project director. He worked for Deloitte and Azimuth Consulting for 13 years before setting up Ingenious International Associates, a New Zealand based business and IT consultancy. He has led international programmes and projects in Sweden, Philippines, Australia, Vietnam and New Caledonia, and managed development and support teams introducing innovative web applications for American Express in Phoenix, Arizona. In New Zealand he has led the introduction of innovative solutions in banking, telecommunications, education, energy and health sector.